Home / Uncategorized / High strength ARP stainless reduced shank studs and bolts for head and cylinders. 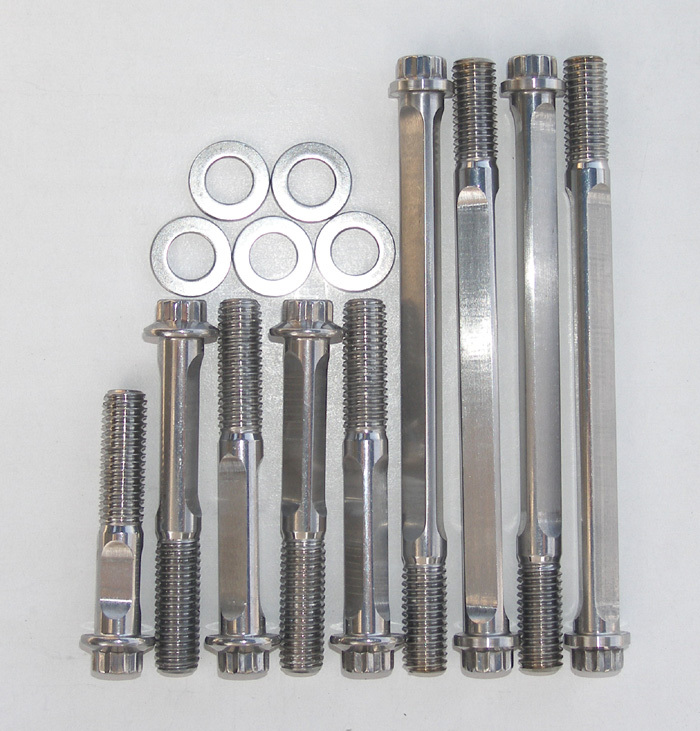 The fluted shanks allow the studs to stretch to prevent the threads from pulling out. Also helps prevent bolt/stud breakage. Special triangular reduced shank studs help align the head with the cylinders. Stock heads should have US 3/8″ coarse thread TimeSerts installed. Full Auto heads with British thread Helicoils need either British thread triangular bolts or conversion to US threads with oversize TimeSerts (“Big-Serts”).